The premises of the city and Malir courts wore a deserted look and fear loomed large on Tuesday as recently, two advocates were gunned down, bringing the total to six this year. The Karachi Bar Association has given a call for complete strike and boycott of courts proceedings in protest against the killing of a lawyer who was also a senior worker of the Pakistan People’s Party. The lawyers are already in a state of protest since May due to killings of many lawyers in the current year and observing black days, boycott of courts proceedings, and strikes. Zia Alam, a senior lawyer and a PPP activist of district West, was shot dead in North Nazimabad Monday evening. The legal fraternity expressing their shock and anger, demanded of the government to pay Rs 3 million each to the deceaseds’ families and Rs1 million to the injured lawyers. The demand was made at a general body meeting held at Shuhada-e-Punjab Hall in connection with the killing of Zia Alam. Another general body meeting has been convened on June 18 in which all bar associations, including the Sindh Bar Council, media organisations and civil society will be invited and a joint strategy would be announced. If all agree, then a sit-in might be staged either at Chief Minister’s House or the Governor’s House, as media people were also being targeted, said Haider Imam Rizvi, General Secretary, KBA. The date will be announced later. The judges were present in their chambers but no trial was conducted as lawyers stayed away from the courts. 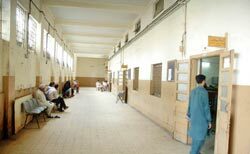 Only two to three prison vans transported under-trial prisoners from the Central Prison, Karachi, who also returned without any trial. The stamp vendors, oath commissioners and others also did not turn up. The usual hustle and bustle near the city court lock-up was also not seen. A black flag was hoisted at the rooftop of the building and lawyers wore black armbands. Alam was the second lawyer gunned down in the month of June. Earlier, a senior lawyer of the Sindh High Court (SHC), Kamal, was shot dead on June 1. Hanif Khan Advocate was assassinated in the month of March; Liaquat Qureishi was shot dead in the month of April; Altaf Abbasi and Nazar Abbasi, both brothers, were shot dead in the month of May; and Kamal, senior lawyer of the Sindh High Court, was murdered in June.